We want you to feel great about the cloth nappies you buy for your baby. Whether its 100% or 50% of your nappy use, everything you need to know is here. We hope this information helps you feel confident with all the issues and terminology you will face with our Ultimate Guide. Please note that any references or studies referred to are linked at the end of this article. Thank you and Happy Reading! The Decision Making Checklist for your cloth nappies. Are Cloth Nappies Really Better for the Environment? What is the Best Nappy Fabric for a cloth Nappy? What age do I start using cloth? Isn’t washing a hassle? I don’t want to clean poo! 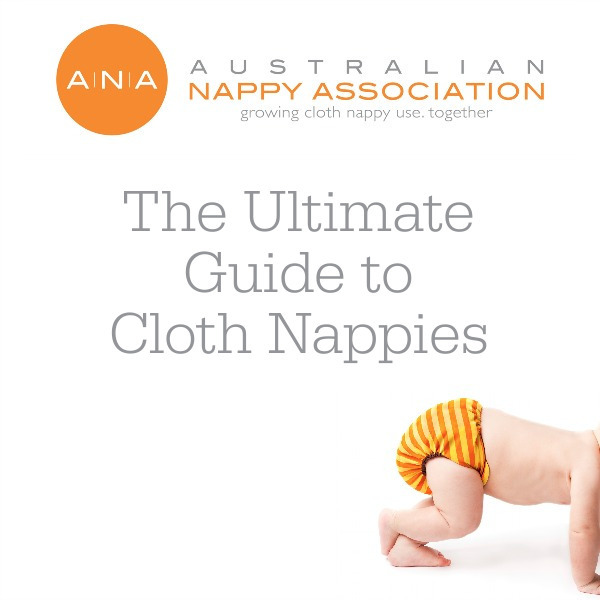 Cloth Nappy awareness is on the rise in Australia thanks to some important university research and a huge change in eco-consciousness among parents. 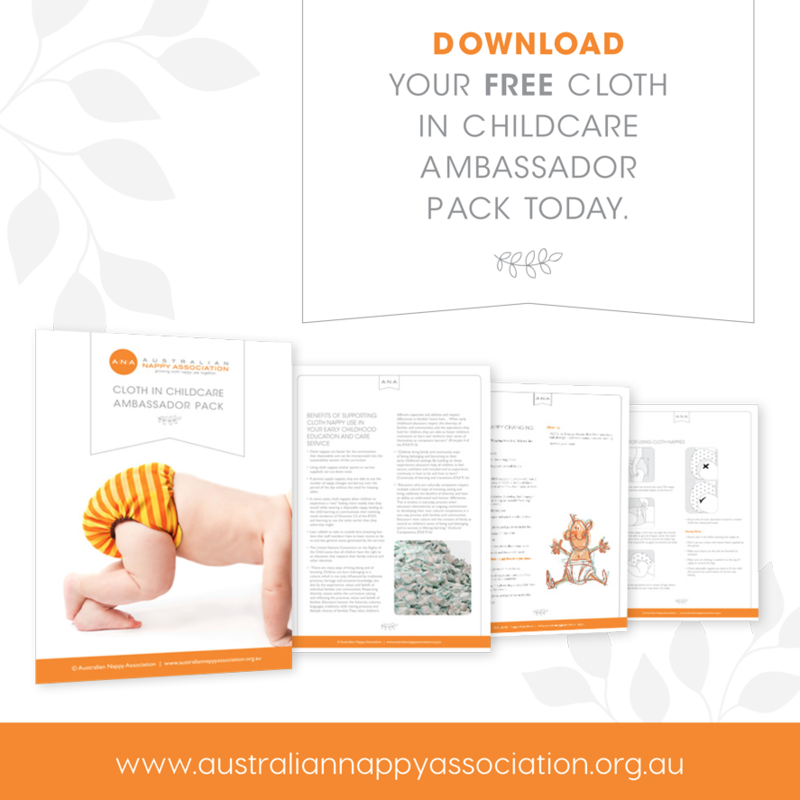 Last month, theAustralian Nappy Association (ANA) was launched by some passionate business women to unify and grow the nappy industry. This comes on the back of two landmark studies on the environmental impact of disposable and cloth nappies. One in 2008 by the UK Environmental Protection Agency and one in 2009 by the QLD university School of Engineering. Local Councils throughout Australia are also getting on board supporting cloth nappy libraries and even subsidies in some cases, to acknowledge the waste reduction that can result in their local communities. Nappies are becoming serious business. Meanwhile, in the home, parents are discovering that cloth nappies are a joy to use, saving them thousands of dollars and ending the urban myth that they are hard work. Cloth Nappies are also pretty cool fashion statement with many companies producing seasonal designs in line with fashion trends. So if the cloth nappy buzz has not hit your parent circle yet, let us guide you on where do you start and how to set the trend in your local area. We show you how to research them, How to buy them and How to use them? We even anticipate your pitfalls and problems and offer easy solutions. If you already use Cloth Nappies, then you are in for a treat. We hope you find more inspiration and discover new facts about those niggling questions you may still have. Grab a cup of tea and enjoy this Ultimate Guide! Whether you choose the 100% cloth nappy experience or a part-time usage, the biggest surprise for you will be the joy and deep satisfaction that comes from using them. Using cloth nappies or reusable nappies as they are also known, bring your family huge financial savings and health benefits for your baby. These real and immediately benefits are compounded by the satisfaction of your lighter environmental footprint, a fact now finally supported by university studies and based on scientific research. I love the look on the face of a first time cloth nappy user. Their eyes bulge wide and a passion rises in their voice, its much easier than I imagined! They are so cute! That’s easy! So how does the idea of ‘hard’ remain associated with the word cloth if the majority of Aussie parents if this is the reaction of the nappy changers? Working Parents find it just as fun and easy to use cloth nappies as stay at home parents’ so if you are having visions of piles of washing and time consuming work, stay tuned. Its one of the many myths we can dispel for you. Myths are easy to create. You plant an idea that people have no reference point for so they cannot disprove it and just wait a few decades for it to take hold as the ‘truth’. In the case of nappies, 95% parents have been using disposable nappies since the 1980’s so there are a lot of myths about cloth nappies perpetuated by people who have never tried them. It’s been 50 years since washing nappies was an impossible task. Memories of our grandmothers leaning over boilers or twin tub machines in the outside laundry are out dated. With the added weight of a highly successful billion dollar disposable nappy industry and their marketing machines, we can start to understand how the myth of hardship has taken hold for most parents. Work at home mums are the driving force behind the cloth nappy industry. Inspired by the benefits of cloth nappies, modern designs, financial savings and environmental factors. The recently formed ANA believes in supporting families through education and resources as well as the provision of cloth nappy services and products. Empowering families with the ability to save money through the use of cloth is a major goal. 80% of cloth nappy retailers are run at home by parents just like you. 20% of the industry are manufacturers, wholesalers and retailers. They are run on passion more than resources and they rely on parents taking that first step of trying cloth, the conversion is natural from there. There is no other baby activity or equipment used more in a home than the humble nappy! Yet most new parents do minimal or no research regarding the best nappy to use. You change nappies 8-14 times a day for a newborn and 6 – 10 times a day as they grow older. Good research into options and costs will give you a lot of satisfaction and potentially save you up to $5000 per child. Once you get interested in cloth nappies, you realise its about a lot more than the nappy! The use of baby basics as disposable has become normalized in the majority of the parenting world. It’s not just the nappy, it is the disposable nappy accessories like baby wipes. This disposable mentality leads sway to other practical items such as disposable breast pads, swimmers and change mats. This increases the dollar value of baby basics dramatically and is considered ‘normal’. As parents, it’s time we claimed back the right to reuse products and save money for our families. Becoming a passionate cloth nappy user is as easy as starting. Soon, the myth of their burden will be the catalyst for a small financial and environmental revolution in your own home. Step 1: Do some research and discover what is important to you. Step2: Find a trusted retailer on line or locally that you can worth with. You want to know you can go back and talk to them about any ‘problems’ that arise and to get solutions and support. Step 3: Talk to all the caregivers in your home, it’s a lot easier if everyone is on board with reusable nappies.. Look outside the home for support too. Join a parent forum or contact a cloth library. Stay friendly with your retailer. Step 4: Have a good set up at home and for when you go out so that the whole cloth nappy experience is one of joy and ease. Keep reading, we show you exactly how to do this in this guide. If you are starting to feel nervous, that’s okay! Its new and daunting for some. Hopefully you soon feel excited about cloth nappies. Take your time, enjoy the journey and change as quickly or as slowly as suits you. How do I choose a nappy style and brand? All cloth nappies fall into one of two categories. 1 – Flats and Pre-folds; Which are the traditional Flat Nappies that you fold. Pre-folds are similar but have extra padding . 2 – Fitted Nappies; which are shaped like a disposable nappy and close with cloth tabs. There are lots of styles within this second category but we can get to that detail later. Both styles of cloth nappies are used, washed and reused. Once you get into the nitty gritty, you will discover words like AIO, AI2, PUL, Pockets and boosters. Discover these terms as you need to, not before you start, or you may get overwhelmed. We have created a glossary at the end of this article ( or see link above in the index at the top of the page) that you can refer to on your cloth nappy journey. The Glossary is not meant to be read in one go! Just use it as a reference or you will get overwhelmed. The common theme I observe as a nappy retailer, is that people buy nappies to suit their personalities! So if you know yourself well, I would use this as a starting point. For example. Are you flexible? Do you like fixed systems? Is fashion important to you? Is organic and eco-friendly important to you? Are skin allergy’s as issue? Once you know your main driver, this is your best starting point. Once you start looking on the internet or at baby expo’s for nappies, it can get very overwhelming unless you know what you are looking for. But how can you know that? This is new territory for you, right? Use this checklist before you research or shop. We recommend you refer back to this short questionnaire whenever you hit overwhelm during your nappy research and decision making. To learn what you are looking for in a nappy, number these qualities in order of importance. These questions are a great starting point because they get you thinking about your priorities. If you come across a product that does not fit your top 3 ideals, move on…remember, there are over 100 nappy sellers out there and you can’t visit them all because then you will really hit overwhelm! Come back to this list once you have researched at least 3 types of nappies. Have your priorities changed? You may be surprised by what is important to you. Takes an extra 20 seconds to fold the nappy and further 10 seconds to add nappy cover. Least Expensive of all Cloth Nappies. Dry Fastest on line and in dryer. Usually Made from Cotton or Bamboo or Hemp so washing is straight forward. This also means they are 100% Natural and Breathable and easily purchased as certified organic less Manufacturing involved.Considered a little bulkier than fitted nappies but this is only if they are not folded correctly. Quicker to Put on Baby ( same time as a disposable nappy) Easier to use in Awkward Situations like the back of a car or with a restless toddler. Cost a little more but worth the fun, fashion and time saving. May have special washing instructions due to the myriad of fabrics now available. Man made fabrics wick moisture away quicker than cotton.Certified Organic Natural Fabrics and Wool Nappy Covers available but less options available in these fabrics. I personally had 3 styles in my nappy collection. The reason is that some nappies are just better in certain situations. In my personal collection, I loved Flats and Pre-folds at home. I then used a few brands of Fitted Nappies ( also known as MCN) as my ‘going out nappy’. Certified Organic Cotton was my priority and it determined my fabric choices. I also love plain colours. I used 100% cloth and worked from home with 2 small young children. My girlfriend was quite different to me. She loved bright colours and did not mind what fabric was against her babies skin. She had a big collection of brands and worked part time out of the house. She had 3 children. The last child was full time cloth. You may end up with one brand of nappy that you love no matter what the situation. Or you may have a few styles for different situations like I did. Again, this is usually a lifestyle decision. There are some terrific deals out there, often called ‘Full time packs” which allow you to get a bargain when buying one brand, one style in bulk. This method suits people who have a clear commitment to using cloth and they are ready to dive in once they have found a brand they love. If you are less clear, I suggest looking for what are often described as “sample packs or starter packs” which most retailers will offer. These allow you to trial different styles and brands. You can then decide if you want to jump in for a full time pack or keep them for a certain occasion while trialling other brands to compliment your stash. The ‘best nappy’ out there is different for every parent. Different styles suit different babies. You can look up cloth nappy reviews on line but they vary widely so they are not always helpful. My best friend loved a brand of nappy so I invested in them but did not like them! I realised my baby had quite a different body shape and they leaked a lot for me. She never got leaks and loved them. So I traded them with another mum and got a brand more suited to my baby. You just need to get a little creative sometimes so its great to be flexible, be prepared to adapt to any situation that arises and have a small community of that you can share and swap with if necessary. My personal experience is that depending on the age of my baby, different nappies do seem to fit better. Babies grow fast. Babies bodies change. Your lifestyle and daily routine also changes. 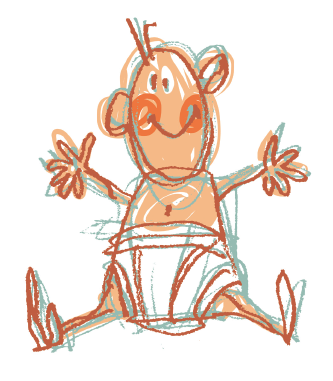 Some babies have cherub legs and some babies have thin legs. Quality brands cater for these kind of body changes. Ask the advice of your retailer regarding the brands that may best suit the shape of your baby’s body. If your baby has not been born yet, there are quality brands out there that can adapt to any shape so again, ask your retailers advice. They know their product best! Until recent university research examined this question, there has always been a reasonable question mark over the environmental impact of detergents and washing compared to disposable nappy production and waste disposal. The University of QLD lifecycle assessment study in 2009 by the School of Engineering, concluded cloth nappies has less impact. The Four environmental indicators examined were water resource depletion, energy consumption (renewable and non-renewable), solid waste and land area for resources (cotton for reusable nappies, softwood for disposable nappies). Accounting for as many variables as possible including usage rates and washing values. When following the best practice washing regime, cloth nappies were proven to have less environmental impact. We encourage you to read the full study in our links section below. What is the best fabric for a Cloth Nappy? The answer to this question depends on what is most important to you? Allergies? Drying Time? Moisture Holding capacity? If you want to have minimal environmental impact, then certified organic natural fabrics ensure there is no chemical use from the moment a fabric plant is planted, grown and processed. Organic Cotton and Organic Wool are the quickest drying fabrics. Bamboo and Hemp hold more wee but can take longer to dry. There are some amazing stay dry fabrics that are polyester based. But if you don’t like that fabric, they may not suit you. If the function of the nappy is to stay dry is more important, then you will love them. The answer always depends on the detail in the question, so speak to your retailer about what is important to you. When you are ready, you can skip to our Glossary of All Fabrics Available for Cloth Nappies at the end of this article. You can also find a link to this Glossary Quickly at any time by simply using the index at the top of this article which has hyperlinks direct to the Glossary of Nappy Fabrics, Nappy accessories and Nappy Terminology. It’s great if you can be familiar with these terms before you speak to your Cloth Nappy Retailer so you are informed before you start shopping. This depends on whether you plan to use cloth full-time or part-time. It can also depend upon the brand you use. The age of your baby will also determine how many changes per day you need. Your retailer is knowledgeable on the needs of the brand they sell so they are the best adviser in this regard. As a guideline, most retailers will recommend between 20-30 Flat or Pre Fold Nappies if this is your full time choice. Fitted Nappy quantity recommendations vary from 15 – 30 depending on your washing routine, aged of baby and lifestyle. The amazing thing about dealing with a reputable retailer, is that they are just as invested as you are in finding the most workable and economical system for long term nappy use. So trust the passion they have in their own products. What you need to buy if using Cloth Nappies? Manufacturer Recommended Detergent or pre soak. Newborn is a great time to start using cloth as it sets you up for eco-friendly parenting from the beginning and the best financial savings are to be had from day 1. Having said this, any age that inspires you to start is a good age. Parents come to cloth nappy retailers at all ages, usually when they sick of stinking bins and rushing to the supermarket when they run out! Any age is a wonderful age to start using cloth and there are still thousands of dollars to save and a lot of joy to be had. Some of the most successful cloth nappy converts are parents with babies at around age 3-12 months The second most common conversion age is toddlers which is when parents are thinking about toilet training. They change to cloth nappies for easier toilet training. Like most things in life, this depends entirely on the quality of the fabric and the brand you purchase. Those cheap $6 nappies may not be looking so great after a few months! The price of the $25-30 nappy suddenly makes sense when they keep their absorbency and don’t leak. Flats and Pre fold can almost claim to have an unlimited shelf life if you purchase a good quality brand and good natural fabric. A second major factor is your laundry care. Follow the manufacturer and retailer instructions and you will get a long life from your nappies. Why do you select these brands to sell? Why are these nappies this price? How many nappies do I need with this brand? What is your personal experience with cloth nappies? How will you help me if I have problems with the nappy? What is the product guarantee on this brand? Do you have any testimonials about this nappy? It is one of the largest false economies there is to compare a packet of disposable nappies that will be gone in a few days to a cloth nappy that will be used many times, even with the cost of detergents, water and electricity. The style of nappy you choose will determine how much you need to spend. You can get a set of full time, organic cotton nappies for only $200 but you can spend up to $800 on fashionable fitted nappies. The extra cost of fitted nappies is worth the convenience to many cloth users. All these costs are thousands of dollars less than disposable nappies and their accessories. Cost estimates covers variation in brands. We encourage you to do your own cost comparison based on a specific brand once you have chosen a brand of nappies and accessories. Thanks to the invention of the wonderful, paper thin nappy liner which 99% of cloth nappy parents use, there is a lot less hassle for dealing with poo these days. A Nappy Liner is laid inside your cloth nappy before use to ensure you can toss or flush the poo in the toilet easily. This leaves only wet nappies to wash. Washing Nappies are no different to baby clothes and bedding. I have timed cloth nappies to take 8 mins a day to organise and wash. While this may seem like a lot of time to some parents, it was often a joyful part of our daily routine with the right attitude. I would talk and sing with my baby and he would sit in my baby carrier on my chest as I hung nappies on the line. It was just part of our routine. A healthy happy attitude to washing as one of the many joys of parenthood certainly helps! 25yrs ago, a common gift for new parents was a nappy washing service. These are almost extinct today. Lavenderia nappy washing service is the only dedicated nappy washing service in Australia. Based in Sydney, they cater for fitted nappies and Flats Nappies which is unique. The Yellow pages list Laundries in Kyneton and Riddles Creek in Victoria as offering a Nappy Service. If you want to approach your local Laundromat, you need to check they are following the national health guidelines for nappy washing. A washing routine at home is one that is simple and organised looks something like this. Wash Nappies in Regular Cycle using water temperature and detergent as recommended by Manufacture..
A good routine such as the night and day cycle described above is simple and adds only 5-10 mins to your day. Compared to shopping for disposables, there is approximately 8 extra minutes of time per day for cloth nappy laundering. Toss Poo in the Loo! Use a Nappy Liner to make the above easy. Rinse or soak soiled nappies before washing if necessary. The Sun also is a natural bleach and will whiten nappies if minor stains are still evident after washing. Check the drying time of fabrics with any nappy you purchase! Depending on your climate, you could be in for a lot of drying time. Nappies must be practical as well as cute. 1. Wet Pail Method: You need two buckets. One for pooey nappies. One for wet nappies. Half fill your bucket with cold water; add a pre-prepared nappy soaker if preferred. After shaking off any excess poo into the toilet, simply toss nappies into the pail. ( If your child’s poo’s are too wet to do this, consider a nappy liner that you can flush in a toilet. Or – use a Nappy Sprayer- a hose that attached to your toilet that squirts poo off a dirty nappy easily into the toilet. If you are using a the wet method, make sure you keep the lid closed and lock the laundry if you have toddlers who like to explore! When its time to wash there are two ways to get your nappies in the machine. Top Loader – empty the whole bucket into the washing machine. Run nappies through a spin cycle to get rid of dirty water, then wash on longest cycle HOT/COLD with your favourite earth-friendly detergent. Rinse out your nappy bucket with hot water and optionally with ti-tree or lavender to disinfect. If you have a front loader, you can use the same method but you will need to hand feed the wet nappies into the machine. 2. Dry Pail Method: This may be preferable if you have an inquisitive toddler in the house or have a water shortage issue.. Also great if you are the one doing the washing and may find a wet bucket too heavy to lift into the machine. A better option in terms of caring for your back! Also a great option if you are on land relying on tank water. Sprinkle a few drops of lavender or tea tree in your empty nappy bucket. This reduces the smell that will come from a bucket of wet nappies. There are some other products on the market that absorb smells like bamboo charcoal that you can try as well. If you are using a disposable liner, throw soiled liner in toilet and toss wet nappy into the bucket. If the nappy is soiled, toss the poo into the toilet, run cold water over the nappy, spray some stain remover on the nappy if you wish, and throw it into the bucket. Never put Pooey nappies that have not been rinsed in a dry method pail. Keep the lid closed. When you are ready to wash use the same instructions as above. Place nappies in dryer 30 – 60 minutes or preferable, hang in sun to dry. Before using either of the above methods, check with your retailer. Each Brand of Nappy will have specific care instructions based on the nappy fabric used. There are too many types of fabric to list them all here but your retailer will be very helpful. © Jannine Barron, Owner Nature’s Child. The following information is to be used as a reference guide. As you scan this list of terminology, fabrics and nappy accessories, put a mark next to anything that jumps out at you! That way, you will instinctively know what is important for you. Here is a list of the lingo you may come across when researching cloth nappies. A fitted nappy with the water resistant layer sewn on the outside of the nappy, creating a one step nappy that is quick to use. Usually take longer to dry but liked for the one step. Three items to one nappy. A booster, the main nappy and a nappy cover. Another brand name for hook and loop fastener, it is just like Velcro. It is used to fasten nappies rather than snaps. It can dramatically damage some nappy fabrics so its worth investigating if this happens to you. Best to look this one up as there is a lot to say. See our reference guide at the back of this article for links to more information. An absorbent pad made from any fabric, which is added to a nappy to increase its absorbency. A fabric square or rectangle, usually made from flannel, bamboo or terry, that is used instead of a disposable wipe to clean baby’s bottoms. You add water or use dry. A Modern Cloth Nappy (MCN) Library gives parents opportunity to trial a variety of nappies, primarily MCN’s and learning what works for their family. A great idea when there are so many choices on the market. A professionally laundered and sanitized cloth nappy library service (ask if they meet Australian Laundry Standard AS/NZS 4146) is vital to protect your baby’s health, preventing transmission of disease. Multiple layers of fabric in an hourglass shape. No folding required. Fits into most nappy covers. A cover is used over some Modern Cloth Nappies, Fitted Nappies or traditional terry squares to stop wetness from wicking through onto baby’s clothing. Covers are usually made from waterproof breathable fabric such as PUL (polyurethane laminate), wool or 100% polyester fleeces. Some people refer to covers as “wraps” or pilchers. Another name for a booster – absorbent pad made from any material. Place inside a nappy to increase absorbency. A no water solution for dirty nappies. Dirty nappies are placed in a dry bucket until washing day. 24 hours max is usually recommended to avoid staining and smelling. After dry pailing, nappies can be placed strait into the washing machine. A cold pre-rinse may be required, followed by an ordinary warm wash. This method is more environmentally friendly than soaking and is useful if water shortage is an issue. Always refer to manufacturer instructions before using this method. Dry Pailing will prolong the life of most nappy fabrics. If you ever dry your nappies in a dryer, these balls are a natural fabric softener. Pure wool dryer balls or plastic ones prevent the need for conventional fabric softeners. Dryer balls claim to cut drying time by up to 25% per load. They reduce static and wrinkles. Another name for Modern Cloth Nappies. It is a shaped nappy made from absorbent material. Usually fastens with snaps or VelcroTM type closures, and may include or require a separate water resistant cover. Fitted Nappy styles may include AIO, AI2, Pocket or other styles. Includes traditional cotton, muslin, bamboo or flannelette squares. They are usually folded and fastened with a pin or snappi, and require a waterproof cover. Budget friendly and fast drying times are the major benefits. No pins or snappi’s needed depending on the style of nappy cover you use. A generic name for velcro, apilix and touch tape, which are all used as fasteners for nappy products. This refers to a reusable nappy cover that can have cloth or disposable insert. Hence the term hybrid. You determine if you need a disposable or cloth insert depending on your activities that day. Disposable inserts are usually biodegradable but not always. Check with your retailer. A specialised absorbent booster pad used inside a pocket nappy to make it absorbent. Usually a pocket nappy term. Lanolin is the grease from sheep’s wool. It is used to help water-proof wool nappy products. The wool absorbs the lanolin which increases it’s hydrophobic properties. You can buy specialised lanolin wool soakers in various brands or use lanolin from a tube diluted in water. Your Wool Nappy Retailer will have full instructions. A much loved accessory for any cloth nappy user. Disposable or Cloth options available. Designed to make cleaning cloth nappies easy and to reduce nappy staining. Poo is collected on the liner and you simply remove the liner for flushing poo, then place wet only nappies in your nappy bucket or machine. Disposable liners are made from biodegradable materials like bamboo or corn-starch. Cloth liners are usually made from polar fleece, micro fleece, polyester, wool or silk as these allow the moisture to wick through to the absorbent part of the nappy. Knitted woollen long pants which are a also a nappy cover. They double as clothing sometimes depending on design. An outfit and nappy cover in one! This is a general description referring to any pre-shaped nappy that involves little or no pinning or folding. They include nappies like AIO,AI2 and pockets. Various Brands Available. Designed for Nappy Buckets. Absorbs strong odours. A shaped water resistant cover which goes over a fitted or flat nappy to make it waterproof. Fabrics may be fleece, PUL or Wool. No or Few Nappies Required! Also known as elimination communication. This is the practice of training babies from birth to communicate their elimination needs. No nappies required. Worth researching and doing part time or full time. from birth. The techniques can also be used for good toilet training at any age. Is a large waterproof bag that sits in side a nappy pail, allowing you to remove your soiled nappies with ease from a nappy bucket. Sometimes this is used as a name for any nappy cover. Usually refers to the old style of nappy covers. PVC Non-breathing plastic pants used to cover fitted or terry flat nappies. Not recommended these days but still available for purchase in some supermarkets for about 50cents each. They are virtually disposable as they do not last very long. They tear easily. Similar to a flat nappy with a thicker pad in the middle. Can be used as a newborn nappy and then a booster pad later on. Can be fastened with pins or snappi and requires a waterproof cover. A shaped nappy made from an outer water resistant layer, and in inner stay dry layer. A pocket opening at one or both ends allowing the absorbent material to be ‘stuffed’ inside the nappy. This refers to a type of nappy closure. Looks like a button but is easily fastened and unfastened. You can say this as either P-U-L, or Pull). PUL is a soft clear coating of polyurethane that is chemically and heat applied to the back of fabrics resulting in a product that is both waterproof and has a small amount of breathability. The size 1MIL, or 2MIL etc refers to the thickness of the laminate. The laminate is applied to either cotton fabric or polyester fabric. Refers either to Training Pants or a Nappy Cover. The latter allows you to pull on easily over any nappy. No clips or fasteners. Imagine undies with wide elastic and leg bands that are stretchy and easy to pull on. Any cloth nappy. Flat or Fitted. Can be washed and reused. Knitted woollen short-legged nappy cover. Actually it’s a brand name but has made our way into our vernacular. Snappi® is made from a stretchable plastic which is T-shaped with grips on each end. These grips hook into the cloth nappy to ensure a snug but comfortable fit for baby. Snappi® makes using environmentally friendly cloth nappies easy and ouch less! They replaced the old fashioned nappy pins about 25 years ago. A collective sigh of relief for parents! A knitted woollen nappy cover. They are also referred to as woollies. Short-legged soakers are also referred to as shorties and long-legged onesies can be called longies. A washing technique for when nappies suddenly seem to be less absorbent or smells. Only needed with some fabrics. Instructions can be found on line using a homemade solution of detergent. Some new products are on the market now for strip washing as well. Fabric pants are fitted like a nappy but not designed for absorbency, usually made from nylon and sometimes with a fabric lining. Designed to keep poo in the pants, not in the pool. A great alternative to disposable swim nappies which seem to be widely accepted as standard, even though they are a product that is only 15yrs old. Babies have been swimming for a long longer than that! This is the traditional Nappy that has been around for a century. A square of Towelling designed to be folded in a variety of different ways to adjust the “wet zone” and fastened by pins or snappis. Nappy covers are required. Usually refers to Terry Flats. See above. A training pant allows you to make the transition from nappies to underwear with ease. It is not a nappy. It is a padded pair of undies that your toddler can pull on and off themselves when they are learning to go to the toilet. The padded undies catch minor accidents, giving your toddler some independence and control over the transition process. Popular choices are PUL, wool, Nylon, fleece and polyester. There are new ones coming on the market all the time. Check for breathability as a feature when choosing fabric. This is vital for baby skin health. A reusable waterproof bag to store used nappies in, usually features a drawstring or zip closure. Very handy for when you are out and about. As above but with two compartment. One for wet and one for dry items. Work At Home Mum. This term refers to people not nappies! 80% of sellers and makers of Modern Cloth Nappies are mums running business from home whilst caring for their children. Wraps are an old fashioned nappy cover. Lay flat and wrap around the baby. They close with by tying them on baby. Usually made from Nylon. Still available for sale in major baby stores and used in some hospitals but is diminishing in popularity. What Nappy Accessories are essential? You will come across all sorts of possibilities. Some are listed in our glossary.. Each Nappy retailer varies in what they provide and what they recommend. Here are the basics for successful cloth nappying. Cloth nappy wipes are used to clean baby’s bottom at nappy time. You simply wash and reuse, just like your nappies. They are inexpensive compared to disposables. Not always necessary but useful for preventing nappy rash. The balm creates a barrier against urine sitting against babies skin for too long. Some barrier creams or nappy balms are not suitable for MCNs. Check with your retailer for suitable brand for your nappy. Some nappy creams are skin conditioners and do not work as a barrier, but as a skin healer. Used instead of a barrier cream. Dry’s babies skin quickly and provides comfort for a wet bottom if you need to whip a nappy on quickly. You need 2 Change systems. A fixed area at home and a simple going out system that fits in a nappy bag. A change table is essential for good back care at home and keeping you organised. A change mat preferably has a waterproof mat underneath a soft layer for baby to lie on. A Nappy Change bag is for when you leave the house and need to keep organised for nappy changing on the go. It needs enough compartments to make sure you are not fumbling for the basics. Be prepared and find a bag that is practical, not just beautiful. The best bag is one that best suits you and your lifestyle. Necessary to put your dirty nappies in at change time. Store dirty nappies in bucket either using Dry Pailing or Water with pre wash soaker. Buy a proper nappy bucket for sturdiness and safety. Should have a lid that only adults can open if you have toddlers around. A 20litre bucket is ideal as it Keeps smells in and holds a full days nappies easily. A handy spray, you can make your own or buy one. Can be water only or have essential oils added to make cleaning baby’s bottom easier when using a fabric baby wipe. A handy hose that can be attached to the toilet cistern to wash poo off cloth nappies easily. Prevents the need for wipes and liners. The only Australian Brand is Little Squirt but there are other brands from overseas. Check they will fit your cistern before buying. You can make your own natural solution with essential oils or most parents just use water. If you want something else, look for nappy sanitiser as they are sometimes called. Wet bags are for used nappies when you are out and about. Usually made from PUL with zip closure or drawstring for easy handling. There are plenty of well-known soak solutions on the market, your decision is whether to use the natural, non-bleach approach. There are pre-wash soakers you can buy or you can use home made recipes such as vinegar, bicard or simply soak your nappies in water with a few drops of Tea Tree essential oil. If you are using cloth nappies because you care about the environment, its best to choose a washing powder that is biodegradable and no bleach. As well as being better for our earth, non- biodegradable washing powders build up on the nappy, inhibiting absorption with some fabrics. What Nappy Fabrics can I choose from? Eco-friendly, absorbent, skin friendly…what is important to you? Super absorbent depending on the weave. Bamboo is considered a renewable resource produced mainly in China. Can take a little longer to dry than other fabrics but that’s’ because its highly absorbent. A traditional nappy fabric from last century made from 100% cotton. It is densely woven and brushed cotton. Light, non-bulky, easy to dry. The least absorbent nappy you can get but popular last century. If you ask your grandmother, she may say she used them. Rarely used now, hard to find. This term can refer to natural fabrics or synthetic materials. Some Fleece is made from recycled product. (See Microfleece below) Fleece can made from Cotton, Hemp or Organic Cotton, in this case, it refers to the brushed nature of the fabric creating a softer fabric to go against the skin. Check with manufacturer for breathability and fabric content. Feels like linen so is usually combined with other fabrics like cotton for softness. Highly absorbent but can take a little longer to dry. A sustainable fibre that is absorbent and has more longevity than most natural fabrics. Not necessarily chemical-free but likely. Check with your manufacturer for certification on Hemp Fabrics. Very little water is needed to grow and harvest hemp. The fabric is soft, hardy, absorbs well, dry’s fast. Is usually found sandwiched in between other fabrics to help with absorbency. A super soft modern fabric that feels like plush velour. A short fur texture. A man made 100%polyester fibre. Also spelled Minky. No chemicals used in growing or manufacturing. Always check the company can provide certification from a recognised international body for authenticity. Ideal for allergy prone babies with sensitive skin. Highly absorbent. Holds moisture and does not wick it away from skin. Modal is a type of rayon often made from beech trees. Modal is used alone or with other fibres (often cotton or spandex) Manufacturers claim the fabric is about 50% more hygroscopic (water-absorbent) per unit volume than cotton, colour-fast when washed in warm water, resistant to shrinkage and fading but prone to stretching and pilling. A fluffy soft fabric that is 100% polyester. Sometimes made from recycled plastic. Used as nappy cover or liner. Also commonly seen in jackets and blanket manufacturing. Polyurethane Laminate – applied to fabric to make a moisture proof yet breathable layer. See Glossary above for further explanation. Sherpa refers to any ‘brushed’ fabric. It is an absorbent terry knit fabric that has been brushed to raise the fibres and give a fluffy soft feel. Most Sherpa used for nappies has a high cotton content. Some Sherpa’s contain a small polyester content. You can also get Bamboo Sherpa, Organic Cotton Sherpa, Cotton Sherpa. The ‘Sherpa’ refers to the brushed nature of the fabric. Soybean protein has the lustre of silk making this a popular fibre for extreme softness, smoothness and lightness. Often combines with other fibres to increase absorbency. Depending on the weave, it is easy to wash, fast to dry and hard to crease. Soft absorbent fabric covered in tiny loops for good absorbency and quick drying. Most commonly found made from Cotton but bamboo Terry also available. A 100% polyester fabric that is very soft to the touch. It is used as the lining in nappies and wicks wetness away from babies skin. It is highly stain resistant. Velour is a velvety fabric made from a mix of cotton and polyester for cotton velour, or bamboo and polyester for bamboo velour. It is used as a liner for nappies, or as boosters and in fitted nappies. Check with your retailer for fabric composition. Wool refers to fabric woven or knitted from the shorn hairs of sheep (merino, lambs wool, etc. ), goats (cashmere), or llamas/alpacas. Nappy covers or longies made from wool are naturally durable, breathable and water resistant. They are excellent for night time due to wicking ability. 10. Charity that collects unused disposable nappies. 12. Disposable nappies, are they stinking up our planet?